A fun blend of electro, chanting, and foxes. I remember listening to the original version of Clarity for the very first time while driving down the highway, and few songs have impressed me in the same way as this one did. The instrumental aspect during the verses is quite relaxing with its mix of synths and piano, but it's Foxes' absolutely powerful and breathtaking vocals that take center stage in this entire song. I had never heard of Foxes before, aside from actual foxes scooting around the forest and such, but now that she and her lovely voice are on my radar, it will be quite difficult to get her out of earshot! As for the remaining instrumental part, I'm actually not as fascinated by it. The chanting from a crowd is decent filler, but actual instruments or synths could have landed a greater impact. Yet overall, Foxes overcomes the average nature of Zedd's production and creates a masterpiece. But wait! Let's not end here! Being the dance hit that it is, there was also a package of remixes released, and we ought not to avoid talking about that as well. There have been a surprising number of remixes released through Interscope Records — ten, to be exact — so we might as well get started! First up is the Style Of Eye Remix, which immediately takes on an electro style of its own, reimagining the backing melody with jilted warm synths. A sly sliding bassline then leads the way into the chorus, which is completely devoid of many elements of the original but could still lead the dancefloor into an arm-waving frenzy. It's hardly melodic or creative, living on powerful sound alone. The second run-through of the chorus has more melody to it, however, and is the better listen of the two. Following this is the Headhunterz Remix. If there's one thing I learned, it's that any dance group that replaces the letter 's' with a 'z' at the end of its name will have an extremely commercialized sound. Headhunterz do not disappoint in that respect with its hands-up style of music, mixed with rough hardstyle kicks. At least the instrumental backing behind Foxes' lyrics is different than the original yet still fitting, as well as being slightly sped up. Surprisingly, Headhunterz has taken the old melodies and replaced them with something slightly more sinister yet uplifting at the same time. I came in with the expectation of something dull and "done before", but I'm pleasantly surprised and actually a bit impressed. What I'm not impressed with, however, is the thoughtless effort of the Tiësto Remix, prepared by one of the world's top DJs. Using a buzzy bass to separate the verses from his own additions to the track is all well and good, but he does two things wrong: he uses the SAME instrumentation as Zedd's version, and he fills the empty spaces with heartless, monotonous synth jabs that are as exciting as buttering toast. For an artist with such a high reputation, he really wasted the talents he's been lauded as having. This remix is a waste of time and hard drive space. I would hope that the Funkagenda Remix could raise my spirits back up, and it did indeed! Neat effects, a strong airy atmosphere, and an initial solid trance sound make this mix stand out a little at first. Each of these remixes uses the verse lyrics in their entirety, and this one follows suit, so it's usually the chorus instrumental aspect that changes. This one sneaks more into dubstep territory, though it's not anything phenomenal... that is, until we get into the second run of the chorus, where sweet electro arpeggios burst onto the scene for some exciting aural engagement. For a garage-style or dubstep set, this remix would fit rather well. The Torro Torro music is full of whatever "torro" is, as well as its own nu-disco vibes and gruff, unforgiving bass that could strip the bark off an elm tree. It's ultimate a cross between electro and dubstep with the former taking precedence, but it takes quite a while (given the remix's short length) to actually get to the "Clarity" part. This is assuredly a different beast than the original but definitely listenable for a gritty night in the club. The Roy Rosenfeld Remix, or "R-cubed", is a more relaxed house excursion where the most exciting part is when Foxes' vocals crawl in. Otherwise, it's a visit to deep house territory that gets dry very quickly. Onward we go with the Felix Cartel Remix. Initially staying rather close to the original, but far more claps and snaps than before, this mix relies more on special effects and alternative beats, rather than substance, to find its identity. The chorus switches things up a bit with a real buzzsaw of a synth, showing off a bland melody that seems to be a common occurrence among many remixes within this package as a whole. It's all about modern danceability in the end, and this is likely what floorfillers nowadays will enjoy. Will the Nick Thayer Remix offer anything novel? Surprisingly, yes. I like the vibe at the beginning, which made me think an early-2000s boy band pop track might ensue. It's slower than the original — quite the shift — before switching into a dubstep dive. Being a slower song, you can enjoy all the separate rhythms Nick Thayer has carefully wedged into this mix, making it one actually worthy of a listen. Next is the Shreddie Mercury Remix. Starting up with a pleasant little piano piece, Foxes' vocals sneak in, even if they don't quite fit 100% with the instrumentals until some bonus synths and a standard beat set the song's course. This remix soon plays with a few more wild vocal cuts and a hopping melody, keeping the ear entertained in full. It's full of energy and is assuredly rather high quality. To round out the package, we have the Swanky Tunes Remix. Though the chorus has an interesting sliding melody, the remainder just makes me shrug with apathy, as there's nothing particularly notable about it. 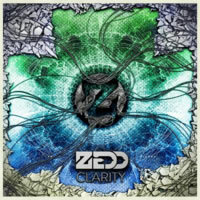 Zedd's "Clarity", and the remixes associated with it, hit some definitive highs and some commiserable lows. It's clear some individuals have put some serious love and affection into their mixes, while others just did it for the money, even if their work didn't deserve it. Nothing beats the original, however, and if you only get to hear one version, make it that one. The final score is a culmination of all mixes combined.